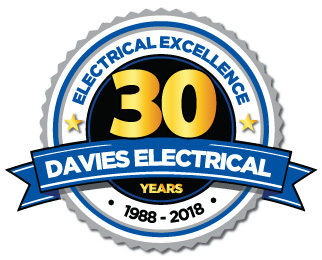 Davies Electrical is a family owned electrical contractor which has been serving businesses, industry and community in Adelaide and South Australia for over 35 years. Launched by Managing Director Merv Davies in 1988, Davies Electrical has now grown into one of Australia’s largest privately owned electrical contractors. Davies Electrical’s management and administrative functions are delivered from our SA based head office and workshop in Melrose Park. Our large warehouse allows us to store quantities of materials and equipment if required, and our fleet of fully stocked service vans are all dispatched and controlled from here. Our service vans are staffed by highly skilled and versatile technicians with a wealth of experience in commercial, retail and domestic electrical work. They are master electricians and problem solvers, and have a proven track record of dealing with any issue, big or small, that comes their way. 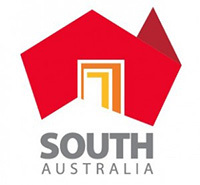 Davies Electrical’s services are provided throughout South Australia, including regional areas via our network of carefully chosen and inducted subcontractors. Any jobs within 50km of the Adelaide CBD are undertaken by Davies Electrical personnel, while our subcontractor network provides our services to the rest of regional and remote SA . All of our subcontractors undergo our induction process to ensure they are familiar with and work within Davies Electrical HSEQ management systems, and all licenses, insurances, checks and inductions are all in order and kept current. Davies Electrical has the knowledge and experience to manage all electrical tasks of all sizes, from simple installations of light switches and power points, up to the most complex multi storey data and communications installations. Davies Electrical is proud to have achieved Lifetime Warranty Installer status with Clipsal, 15 Year Warranty Installer status with TE Connectivity (formerly Krone), and TQCSI certification for our Health, Safety, Environment & Quality (HSEQ) management system.